Lists of Note has posted the great writer Henry Miller’s list of 11 commandments, which he wrote for himself to follow. I have annotated Miller’s list (in bold, below) with my observations about how each of his commandments can be applied to various aspects of the naming process. Start no more new books, add no more new material to “Black Spring.” Recognize when a project is finished, and be prepared to move on. Don’t be nervous. Work calmly, joyously, recklessly on whatever is in hand. As we’ve said in our Manifesto, naming should be fun and you have to set a positive tone. Work according to Program and not according to mood. Stop at the appointed time! Another way to say this is to keep the project as objective as possible by staying focused on the brand positioning, not on subjective reactions to names. Cement a little every day, rather than add new fertilizers. Diligence and perseverance. Try to make some kind of progress every day, or at least increase your understanding of the process. Don’t be a draught-horse! Work with pleasure only. See number three, above. Discard the Program when you feel like it—but go back to it next day. Concentrate. Narrow down. Exclude. Give yourself flexibility to grow and adapt, but keep bringing the focus back to the project and the brand positioning (see number four, above). As the project progresses, it should become ever more focused. Forget the books you want to write. Think only of the book you are writing. Don’t force all the great names in your head into the current project. Think only of the specific positioning of the current project, and make sure all names under consideration map strongly to that positioning. Write first and always. Painting, music, friends, cinema, all these come afterwards. Naming comes first. After that, the rest is gravy, icing, spice, and all other food metaphors. Don DeLillo is arguably the greatest American novelist alive. I can’t think of another who is simultaneously as intelligent, risky, and willing to explore new and different material in nearly every book. 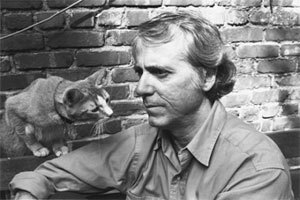 I just discovered a great 1993 Paris Review interview with Don DeLillo by Adam Begley, which, in Paris Review author interview tradition, is very deep and well-constructed. Everyone interested in writing, thinking, and recent American culture and history (Americana!) should read this interview, regardless of whether you are a fan of DeLillo’s novels or not. It’s as relevant today, perhaps even more so, as it was in 1993, in the fading light of the 20th century. Writing is a concentrated form of thinking. I don’t know what I think about certain subjects, even today, until I sit down and try to write about them. …and it was through Joyce that I learned to see something in language that carried a radiance, something that made me feel the beauty and fervor of words, the sense that a word has a life and a history. …A writer takes earnest measures to secure his solitude and then finds endless ways to squander it. …I used to find ways to save a paragraph or a sentence, maybe by relocating it. Now I look for ways to discard things. If I discard a sentence I like, it’s almost as satisfying as keeping a sentence I like. …There’s a zone I aspire to. Finding it is another question. It’s a state of automatic writing, and it represents the paradox that’s at the center of a writer’s consciousness—this writer’s anyway. First you look for discipline and control. You want to exercise your will, bend the language your way, bend the world your way. You want to control the flow of impulses, images, words, faces, ideas. But there’s a higher place, a secret aspiration. You want to let go. You want to lose yourself in language, become a carrier or messenger. The best moments involve a loss of control. It’s a kind of rapture, and it can happen with words and phrases fairly often—completely surprising combinations that make a higher kind of sense, that come to you out of nowhere. But rarely for extended periods, for paragraphs and pages—I think poets must have more access to this state than novelists do. …When my head is in the typewriter the last thing on my mind is some imaginary reader. I don’t have an audience; I have a set of standards. …But the basic work is built around the sentence. This is what I mean when I call myself a writer. I construct sentences. There’s a rhythm I hear that drives me through a sentence. And the words typed on the white page have a sculptural quality. They form odd correspondences. They match up not just through meaning but through sound and look…. I’m completely willing to let language press meaning upon me. Watching the way in which words match up, keeping the balance in a sentence—these are sensuous pleasures. …The novel’s not dead, it’s not even seriously injured, but I do think we’re working in the margins, working in the shadows of the novel’s greatness and influence…. Everything in the culture argues against the novel, particularly the novel that tries to be equal to the complexities and excesses of the culture…. But sometimes it’s a literature too ready to be neutralized, to be incorporated into the ambient noise. This is why we need the writer in opposition, the novelist who writes against power, who writes against the corporation or the state or the whole apparatus of assimilation. We’re all one beat away from becoming elevator music. …I want to give pleasure through language, through the architecture of a book or a sentence and through characters who may be funny, nasty, violent, or all of these. …Who wins the struggle for the imagination of the world? There was a time when the inner world of the novelist—Kafka’s private vision and maybe Beckett’s—eventually folded into the three-dimensional world we were all living in. These men wrote a kind of world narrative. And so did Joyce in another sense. Joyce turned the book into a world with Ulysses and Finnegans Wake…. World news is the novel people want to read. It carries the tragic narrative that used to belong to the novel. …Film allows us to examine ourselves in ways earlier societies could not—examine ourselves, imitate ourselves, extend ourselves, reshape our reality. It permeates our lives, this double vision, and also detaches us, turns some of us into actors doing walk-throughs. In my work, film and television are often linked with disaster. Because this is one of the energies that charges the culture. TV has a sort of panting lust for bad news and calamity as long as it is visual. We’ve reached the point where things exist so they can be filmed and played and replayed…. Think about the images most often repeated. The Rodney King videotape or the Challenger disaster or Ruby shooting Oswald. These are the images that connect us the way Betty Grable used to connect us in her white swimsuit, looking back at us over her shoulder in the famous pinup. And they play the tape again and again and again and again. This is the world narrative, so they play it until everyone in the world has seen it. …The important thing about the paranoia in my characters is that it operates as a form of religious awe. INTERVIEWER: Could you tell me about the passage in White Noise in which Jack listens to his daughter Steffie talking in her sleep, and she is repeating the words Toyota Celica? DeLILLO: There’s something nearly mystical about certain words and phrases that float through our lives. It’s computer mysticism. Words that are computer generated to be used on products that might be sold anywhere from Japan to Denmark—words devised to be pronounceable in a hundred languages. And when you detach one of these words from the product it was designed to serve, the word acquires a chantlike quality. Years ago somebody decided—I don’t know how this conclusion was reached—that the most beautiful phrase in the English language was cellar door. If you concentrate on the sound, if you disassociate the words from the object they denote, and if you say the words over and over, they become a sort of higher Esperanto. This is how Toyota Celica began its life. It was pure chant at the beginning. Then they had to find an object to accommodate the words. I couldn’t think of a better description of what it means to be a namer: looking to find an object to accommodate the words. For our clients, of course, they are just looking for the words to accommodate their product (“object”). But I see things in reverse. The words are here, waiting be be born as names — it’s the job of our clients to bring the objects to be named. Toyota Celica, cellar door.